Grateful for the midsummer greetings from Carol, who notes on the back that she has been to DC and knows exactly how hot it gets! Cute! A different type of etagami. I like it! non-illustrated and merely verbal happy late-ish-to-midsummer greetings! Thanks so much for the comment Azita! 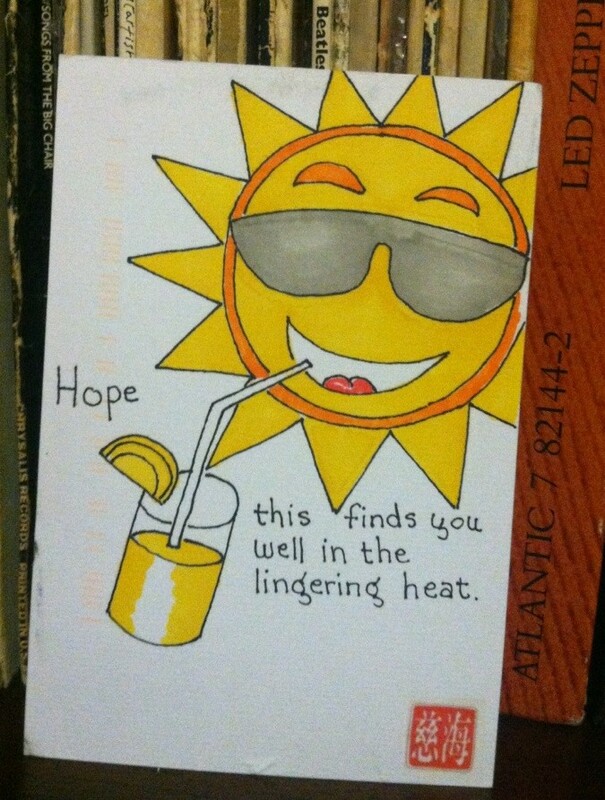 I love the fun sun illustration from Carol!